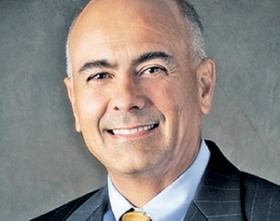 Asbury Automotive Group Inc.'s acquisition ambitions keep getting bigger. The nation's seventh-largest dealership group said that it now aims to buy stores that will add $500 million in annual revenue during the next 18 months. That goal is on top of completed and pending acquisitions of stores that would add about $500 million since the beginning of 2013. Asbury unveiled its latest purchases last week: two undisclosed stores that will add a combined $250 million in revenue once the deals close late this year or early in 2015. The new deals mean Asbury has met a target it set at the beginning of 2013. "That first $500 million is done," Asbury CEO Craig Monaghan said, "so it's time to go back to work and do some more."